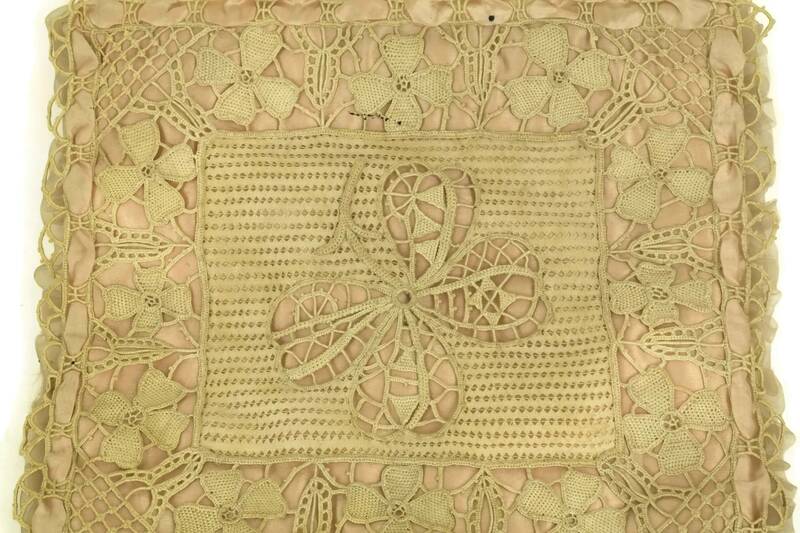 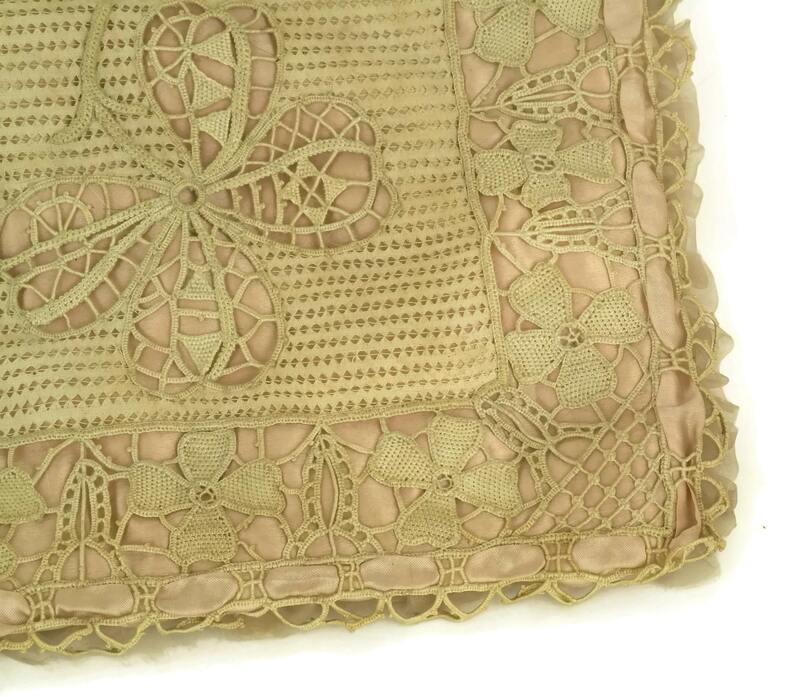 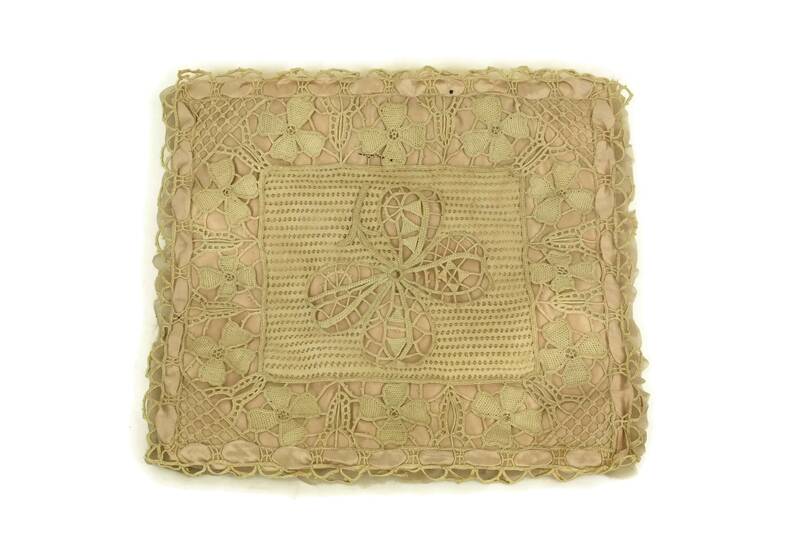 An exquisite antique French lace and silk lingerie bag dating to the 1920s. 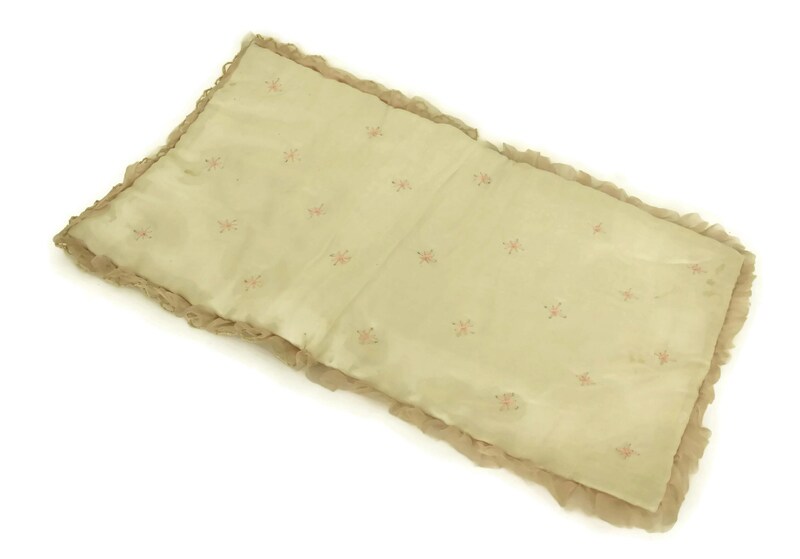 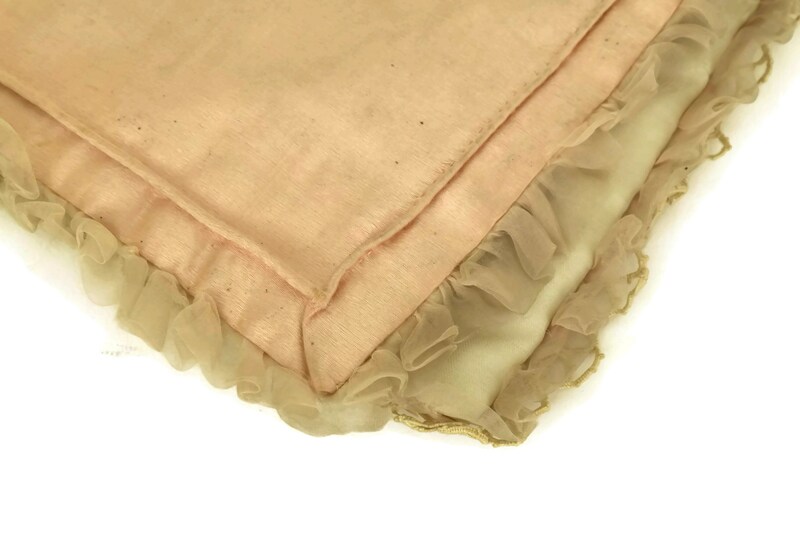 It has been created from hand made lace with flower motifs on a pale pink silk base. 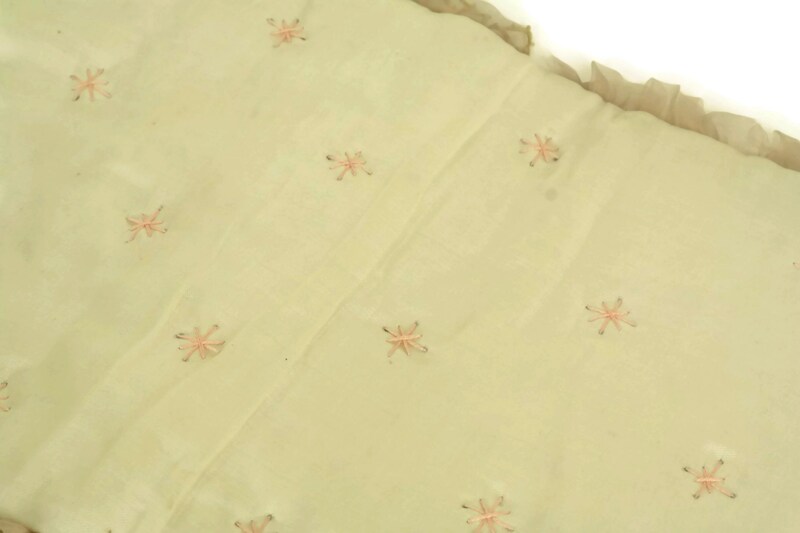 The bag has been padded and folds open to reveal an interior embroidered with stars. 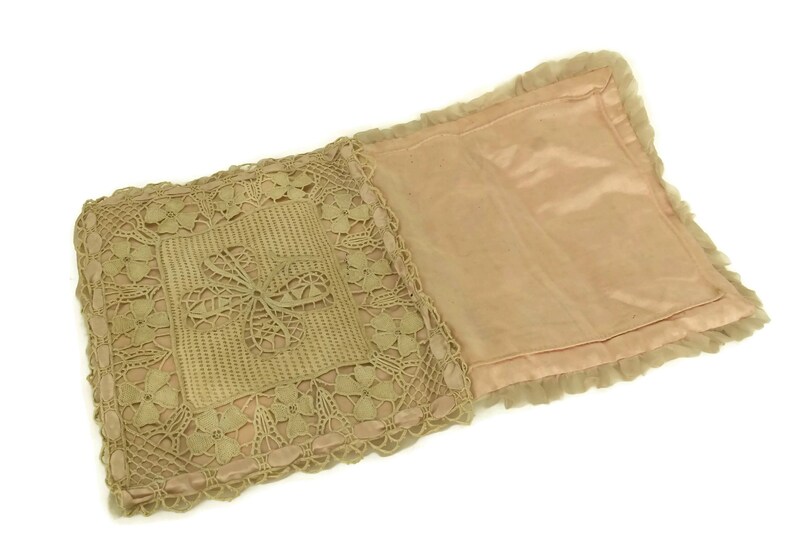 The pouch was used by a lady to store her small and delicate lingerie. 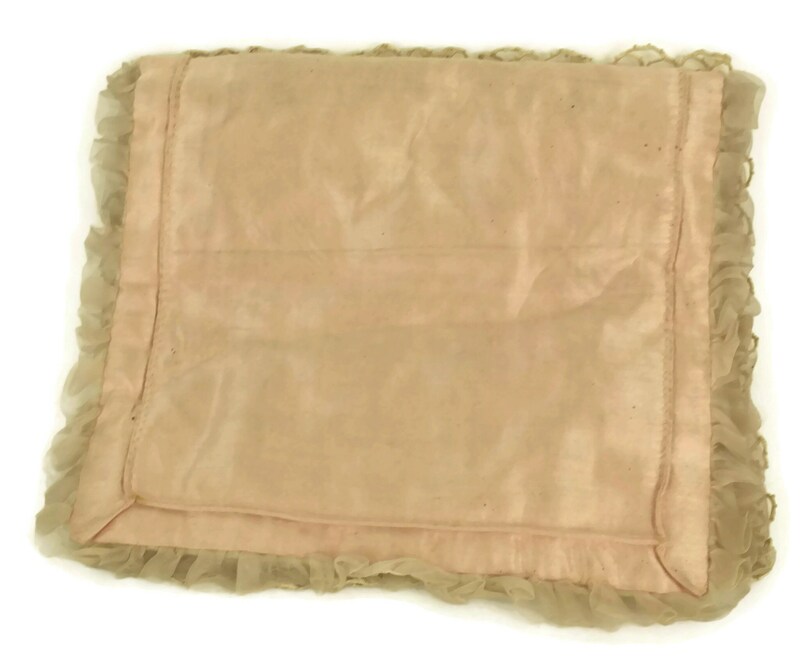 9" Long x 8" Wide when folded close. 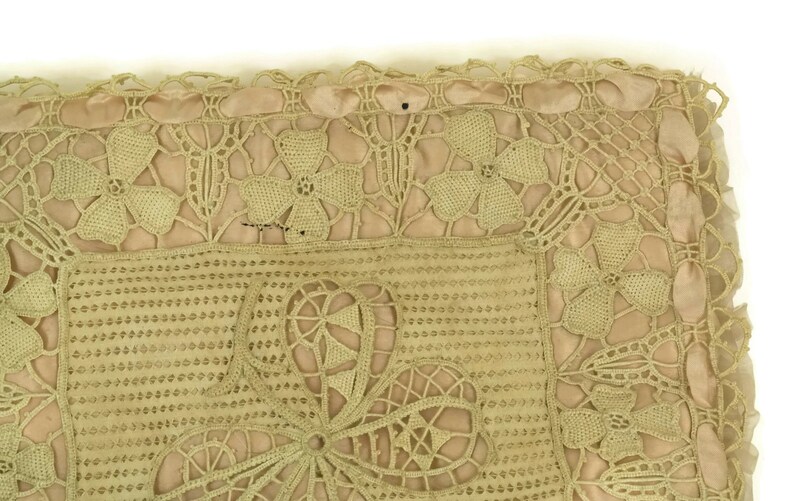 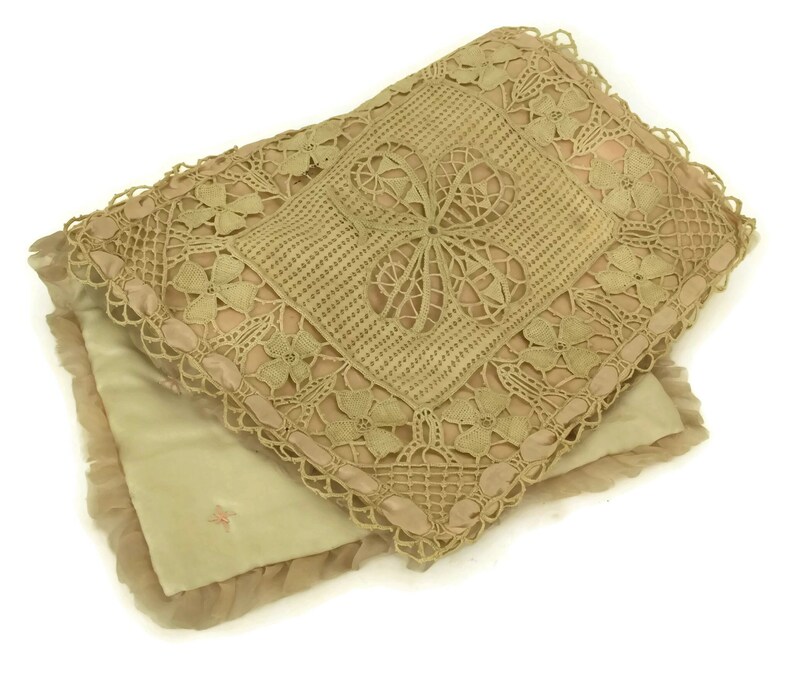 The French lace lingerie bag is in good vintage condition with light wear including surface marks in places.